Brett Kavanaugh is set to call Merrick Garland, his colleague on the U.S. Court of Appeals for the D.C. Circuit, a "superb chief judge" in his opening remarks for his Supreme Court confirmation hearing Tuesday. Why it matters: The battle over Garland's failed nomination to the Court in the last year of President Obama's term will likely remain a point of contention throughout Kavanaugh's confirmation hearings this week. "A good judge must be an umpire—a neutral and impartial arbiter who favors no litigant or policy. … I don’t decide cases based on personal or policy preferences. I am not a pro-plaintiff or pro-defendant judge. I am not a pro-prosecution or pro-defense judge. I am a pro-law judge." 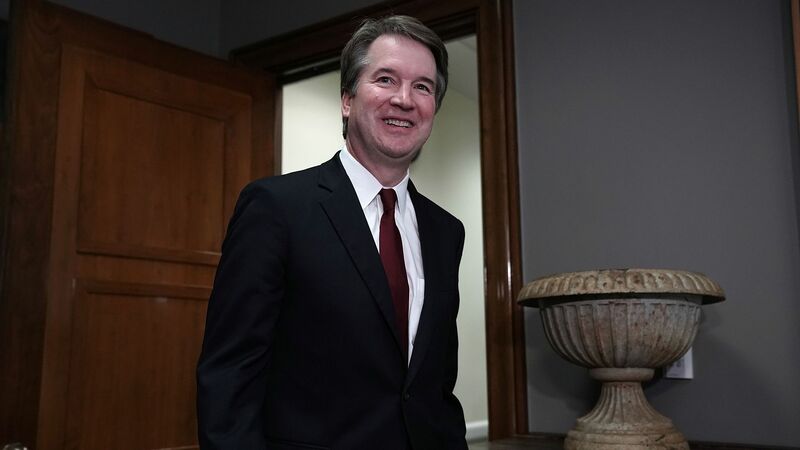 "If confirmed to the Court, I would be part of a Team of Nine, committed to deciding cases according to the Constitution and laws of the United States. I would always strive to be a team player on the Team of Nine."